In a bid to protect water sources in the Mbarari catchment of the Great Ruaha River WWF Tanzania has handed over a solar operated water project which consists of a deep borehole, a cattle trough and a domestic water point to the Mwakaganga community in Mbeya region. The project will be capable of serving more than 2000 people and 1000 livestock per day. Speaking during the launch the District Executive Director represented by the district head of livestock and fisheries department Mr. Augustino Lawi said the project will greatly improve the quality of human life and help in resolving the long term water crisis in the area. 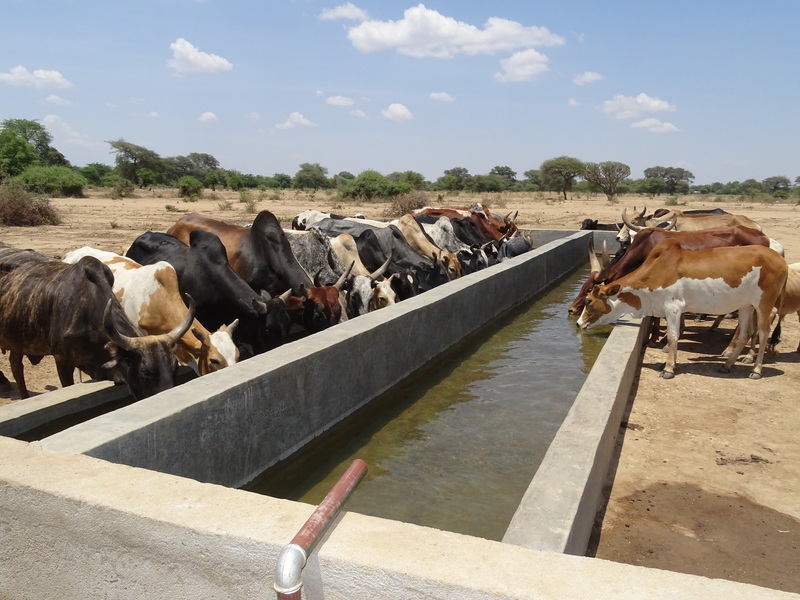 The project is part of collaborative initiatives (CIs) resulting from multi-stakeholder’s process (MSP) piloted by the WWF via its Ruaha Water Programme (RWP) from 2011 to 2017 in the two sub-catchments of Ndembera and Mbarali. The Freshwater Programme Coordinator Eng. Christian Chonya said the project was initially identified by stakeholders attending one of the MSP workshop held in the catchment areain 2015 where the WWF engaged diverse stakeholders to participate in discussions around the challenges they face on the conservation processes, and contributing their efforts, skills and experiences in tackling them. “Effective community participation and involvement in conservation interventions is the key ingredient for sustainable conservation and poverty reduction among communities., and this is exactly what has led to the successful completion of this project” he emphasized. The project that is completely owned by the Mwakaganga community is the outcome of resources from the community, the private sector in the area, the Mbarari district council, individual political representatives and WWF which has supported the project by resources amounting to more than 26,000 USD.